One very important marketing tool every business needs is a well of beautiful photos to dip into for a quick site update, Instagram post, new blog entry, or monthly newsletter. I must admit- nothing makes me cringe quite like a pixelated low-resolution photo at the tippety top of a homepage. Please, I beg of you, don’t take photo quality lightly; iPhone photos are great for quick social media posts, sure, but not for the introductory visual on a website. Crisp, high quality photos are where it’s at- they boost trust in your brand, encourage engagement, and help close that sale. Knowing that 90% of information transmitted to the brain is visual, and that visuals are processed 60,000x faster in the brain than text, this all starts to make a lot more sense. So I’ve compiled my Top 5 list of royalty and copyright free photo sites for you to peruse for your small business marketing needs! There are a few exceptions to the commercial usage rights of royalty-free and public domain images. For instance, identifiable people, private property, trademarks, and visible logos must give their consent for public usage of their images. However, using an image on your blog is generally considered non-commercial, editorial usage, and therefore does not require a release. In a nutshell, if you plan to make money directly from the use of an image such as in an ad or product design, consult a lawyer or contact the photographer directly to get clarity on usage rights. Here’s my top 5 list of websites that offer free stock photos for both personal and commercial use. This is hands-down my favorite photo site. 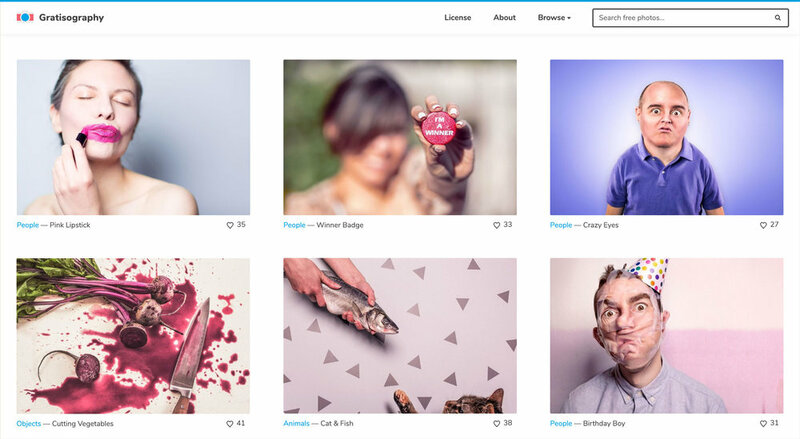 This uber hip open photography community offers over 550,000 gorgeous stock images that don’t feel like stock images. All their high-resolution photos are completely free to use for commercial or noncommercial purposes without attribution, “gifted by the world’s most generous community of photographers.“ (Though Unsplash photographers appreciate a credit as it provides exposure to their work and encourages them to continue sharing.) 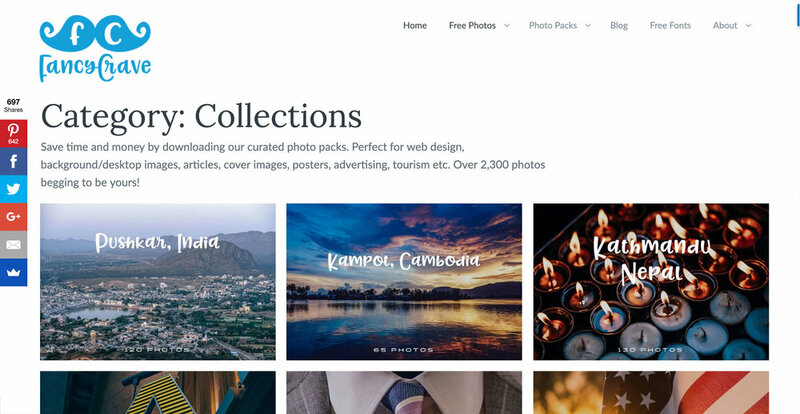 Create a free account and gather your favorite images in custom collections to prepare for future marketing projects, or use Unsplash’s keyword search or top-level photo categories to find and download exactly what you need. You can also follow your favorite contributing photographers to never miss a new photo. With over 1.6 million royalty free stock photos, videos, illustrations and vector graphics, Pixabay is another indispensable resource for every business owner and freelancer. All content is released under the Creative Commons CC0 license, making everything safe to use without asking for permission or giving credit to the artist - even for commercial purposes. You can follow your favorite artists and even buy them a coffee as a thank you directly through the site by creating a free account. One photographer's kooky, whimsical, silly vision of the world, free to use however you see fit. This is a favorite site of mine for its sheer creativity and quirkiness- you would be hard pressed to find an equally inventive collection of royalty free photos! Artist Ryan McGuire is a self-taught designer and photographer offering up his work for the love of his world community. His photographs are visual storytelling of humans being human. I can dig it, can you dig it? Search by category or keyword. While this site offers individual photo downloads like the previous sites listed above, it is better known for its curated photo packs that feature anywhere from 7 to 130 images per bundle. These are all free to use for commercial purposes without crediting, though it is appreciated when possible. Another great royalty-free photo resource, allowing you to search by countless collections from Textures and Patterns, to Architecture and Celebrities. You can also search by popularity, recently published, editor’s pick, or camera used. However the quality of the photos varies greatly on this site as they are not all professional. The benefit there is that you can find some strange 80s point and shoot images and other obscurities. This allows you to use the photos without paying royalties or license fees. A CC license is used when an artist / author / creator wants to give others the right to share, use, modify or build upon their work. This means you can use these photos for free. Always review the terms before publishing images just to be sure there aren’t any attributions or other requirements. Any image created in the United States prior to 1923 is part of the public domain. This means you’re allowed to copy, modify, or distribute these images without explicit permission. You may use the royalty-free images for any type of professional or business venture. You may use these photos so long as you give credit to the author. This is often through a subscription based site (though some are free) that requires you to create an account in order to use the royalty-free images. Some sites will charge you for membership on a one-time or recurring basis (aka subscription), others are ‘free’ but require your email address and other personal information to become a member.